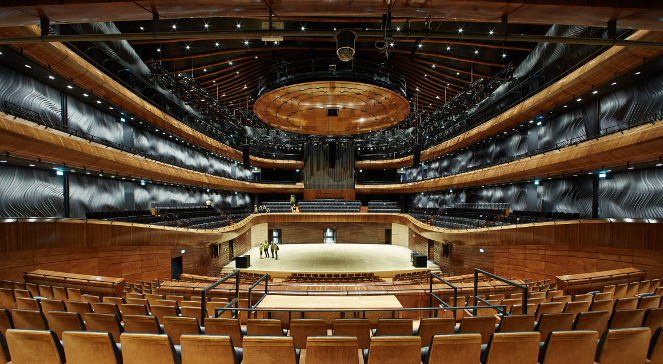 Last November, the 21st to be exact, I visited the new and magnificent home in Katowice of NOSPR, the Polish Radio National Symphony Orchestra. The occasion was a performance of Shostakovich’s Fifth Symphony under the baton of the 91-year-old Stanisław Skrowaczewski. It was a searing account, made all the more special because that very morning I had come across a programme from 1949 when Skrowaczewski had conducted the same work with the other Katowice orchestra, the Silesian Philharmonic. 65 years on, and still going strong. I hope that in 2080 someone will come across the programme of NOSPR’s 6th Festiwal Prawykonań (Festival of Premieres, 17-19 April 2015) and make a similar connection with a performer or composer being featured in this edition. 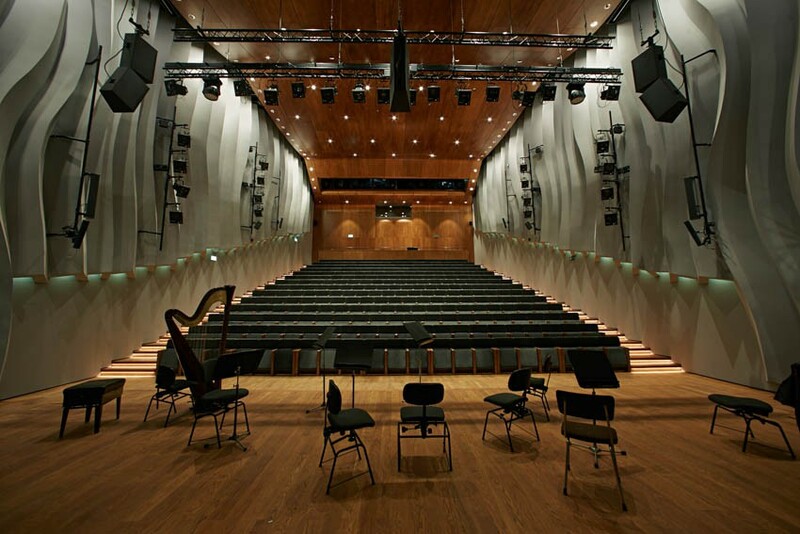 The big change is that all the concerts will take place in the orchestra’s new home, barely ten minutes’ walk from Henryk Mikołaj Gorecki’s home. The siedziba, as it’s called in Polish, not only includes the main symphony hall but the equally fine acoustics of the chamber hall. Back in 2013, I listed the repertoire of the 5th Festival. This year, such is the diversity and extent of Polish composition that 75% of the names are different. 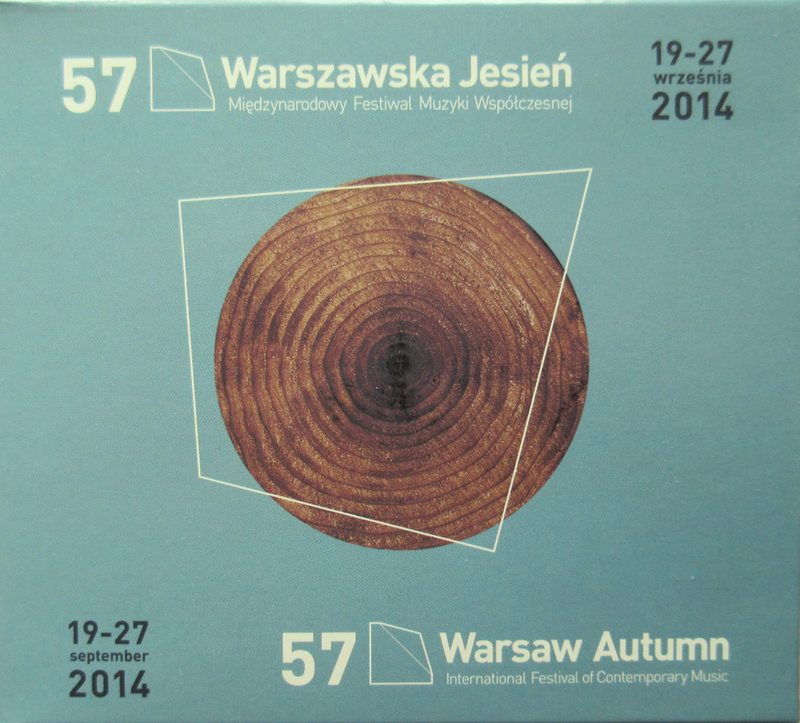 This biennial event is a great initiative, arguably the most important showcase for new Polish concert music. It demonstrates the cultural significance of publicly-funded bodies like radio orchestras (Radio France take note). I do not know the schedule of live or deferred broadcasts planned by Polish Radio Dwójka (PR2). The ensembles featured include Camerata Silesia, conducted by Anna Szostak, Orchestra Muzyki Nowej (New Music Orchestra), conducted by Szymon Bywalec, NOSPR conducted by Alexander Humala, Szymon Bywalec and José Maria Florêncio, Kwartludium, Kwartet Śląski (Silesian Quartet) and the AUKSO Chamber Orchestra, conducted by Marek Moś. Yet another initiative that I missed earlier this year is a series of essays and other items emanating from New York’s Museum of Modern Art. I came across MoMA’s post – notes on modern and contemporary art around the globe while writing my preceding post about the late Bohdan Mazurek. 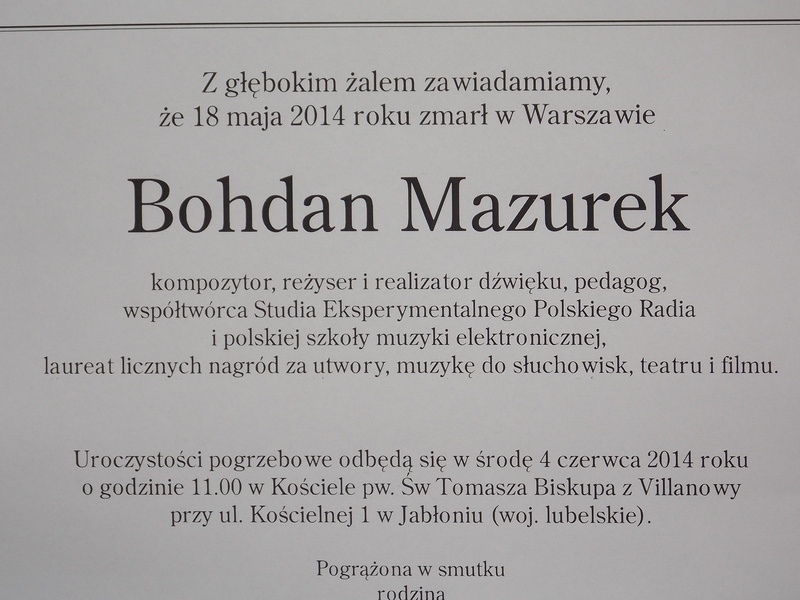 On 19 December 2013 MoMA published a theme called Polish Radio Experimental Studio: A Close Look, in which Mazurek features. This really is a superb English-language introduction to one of the ground-breaking initiatives in Western and Eastern European music in the 1950s. PRES was the brainchild of Józef Patkowski. It was a most unlikely development in communist Poland and one that had a profound impact on the sound of Polish music. Many composers, including Penderecki, Kotoński, Schäffer and Dobrowolski, made use of its expertise (principally Bohdan Mazurek and Eugeniusz Rudnik), and soon non-Polish composers also flocked to use its facilities. No sound files are included on the MoMA site, but there is a fascinating double CD (2013) from Bôłt Records that brings together the original realisations of the five scores marked * above, plus modern realisations of the same pieces. The two CDs are called PRES Scores and also include then-and-now versions of Penderecki’s Psalmus (1961). The Polish composer and sound engineer Bohdan Mazurek – a key figure in the development of electronic music in Poland – has died at the age of 76. 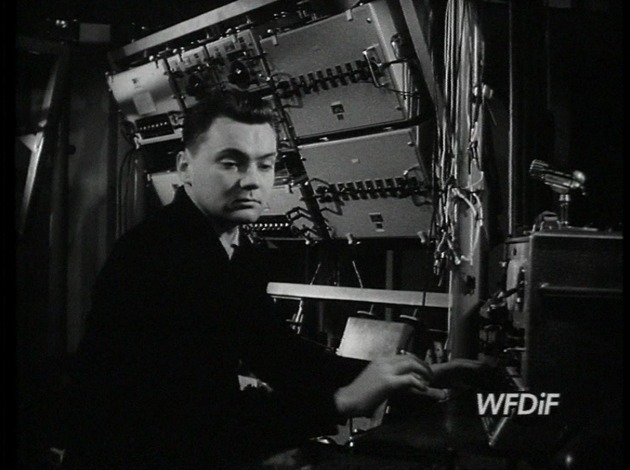 Alongside Eugeniusz Rudnik, Mazurek helped to develop the Polish Radio Experimental Studio after its foundation in 1957 by Józef Patkowski into a central force in Polish music in the 1960s and 70s. He assisted many composers in realising their electronic music but was also a composer, in his own right, of both electronic and film music. His music won prizes in several competitions (Dartmouth, Bourges) and he taught not only at the Warsaw Music Academy but at several institutions in the USA. I knew Bohdan Mazurek early on in my involvement in Polish music. He was a gentle giant, modest and with a selfless devotion to his metier. He was a thoroughly decent and lovely man and I recall spending many good-spirited hours in his company. He helped me hugely as I tried to find my way in the rich panorama of Polish music. His own music went largely undervalued, with very little percolating abroad. Bozzetti was, however, included in the 1970 boxed LP set ‘Electronic Panorama’ (Philips 6740 001), which profiled new electronic compositions from Paris, Tokyo, Utrecht and Warsaw. 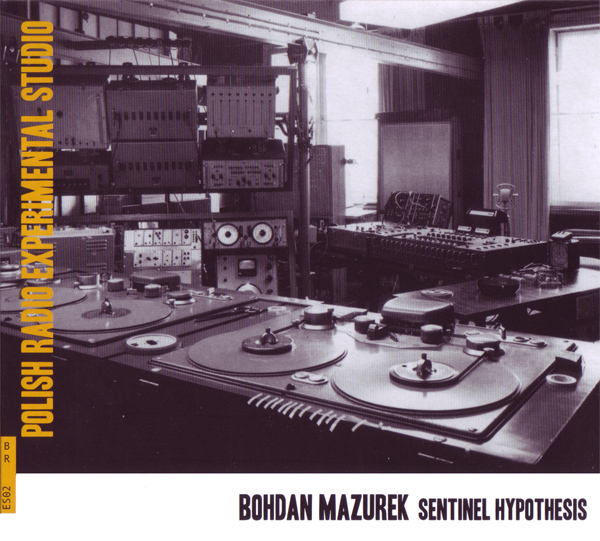 Fortunately, in 2010 the Warsaw-based independent label Bôłt Records, in partnership with Polish Radio and Foundation 4.99, issued a double CD of Mazurek’s music, ‘Sentinel Hypothesis’. It includes an excellent essay and notes by Bolesław Błaszczyk. The twelve works on these discs are: Bozzetti (1967), Epitaph for Jan Palach (1969), Sinfonia Rustica (1970), Canti (1973), Ballade (1976), Children’s Dreams (1976), Daisy Story (1977-79), Six Electronic Preludes (1981), From the Notebook (1983), Letter to Friends (1986), Pennsylvania Dream (1987), Reverie (1989). An appreciation just published (in Polish) at culture.pl includes YouTube links for Bozzetti (1967) and Canti (1973). In an age when transparency in government agencies is increasingly demanded, I wonder how many British or other national arts organisations can rival the almost brutal way in which commission applications by Polish composers become available as publicly as this. In its latest newsletter, issued today, the Institute of Music and Dance in Warsaw announced a summary of the latest round of music commissions, with a link to the full list published by the Ministry of Culture and National Heritage. All the details are there, whether or not a composer or organisation has been successful. 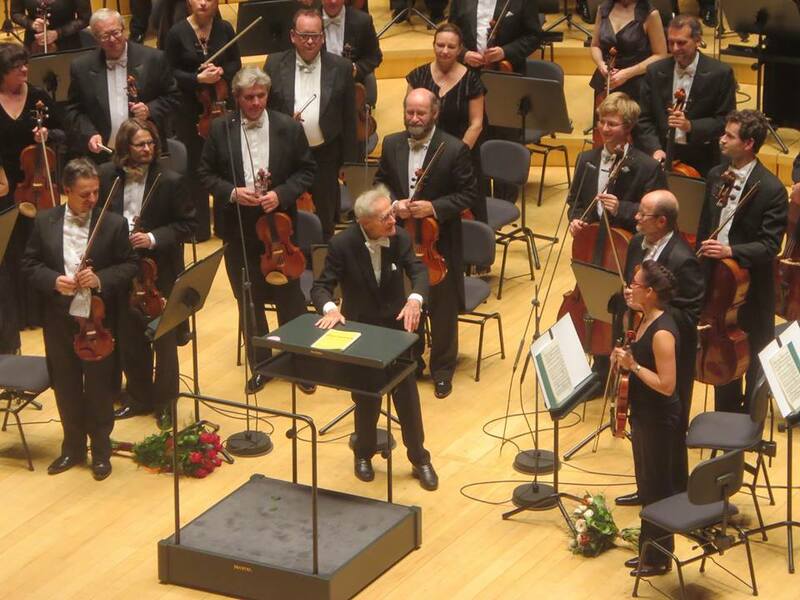 Top of the list came a proposal from Baltic Opera for a new opera Olimpia by Zygmunt Krauze. Each application was awarded a score (first column), the sponsoring organisation named, the nature of the commission given (with a + sign linking to a breakdown of the points given in column 1 into three components: organisational – 10%, merit – 60%, strategic – 30%). Successful applications had to achieve a minimum total rating of 60%. The value of the award is given in the final column (roughly 5zł = £1). The minimum awarded was 10,000zł (c. £2000), the maximum 60,000zł (c. £12,000), depending on the nature of the project (60,000zł for an opera is absurdly low and, I trust, only part of Krauze’s total commission fee, especially when compared with 25,000zł for a string quintet). In this year’s round, 81 of the 218 applications have been successful and the total disbursement by the Ministry of Culture and National Heritage is 2,324,950zł (approximately £465,000). The range of activity is impressively broad, as also befits a selection panel comprising two composers, a conductor and representatives from broadcasting and higher education (Zbigniew Bagiński, Joanna Grotkowska, Eugeniusz Knapik, Wojciech Michniewski and Krzysztof Szwajgier). Hot on the heels of my recent posts about the re-imagining of Lutosławski’s music by Polish musicians, news has come through of a potentially more far-reaching project involving non-Polish musicians at the 2013 sacrum+profanum festival in Kraków. On 22 September, the AUKSO orchestra, under Marek Moś, will play Lutosławski’s Musique funèbre and Preludes and Fugue. Their by-the-book performances will then be responded to by four composers known for their electronic work: Clark (Chris Clark, UK), Emika (UK, of Czech parentage), Mira Calix (UK) and Oneohtrix Point Never (Daniel Lopatin, USA). The event – ‘Polish Icons 2’ – starts at 18.00, at the ArcelorMittal Hala Ocynowni. Tickets (bilety) are 79zł (c. £20) until the end of May, thereafter 99zł (c. £25). The Polish announcement is available here (the English-language pages have not yet caught up with the Polish news release).